NEW YORK -- The people who die from heroin-related overdoses in the U.S. now tend to be young, white and live in the Midwest, according to a government report. That's a shift from 15 years ago when the death rate was highest among older blacks and the West and Northeast had the biggest heroin problems. The Centers for Disease Control and Prevention found that the number of heroin deaths nearly quadrupled between 2000 and 2013. The report released Wednesday examines the rising trend in fatalities involving heroin. The report, based on death certificates from 2013, tallied drug overdose deaths across the U.S. in which heroin was a contributing factor. There were 8,257 heroin-related deaths in 2013, compared to 5,925 the previous year. The rates have increased significantly since 2010, when deaths numbered about 3,000. Heroin-related deaths increased in both men and women, in all age groups, and in whites, blacks and Hispanics. A few of the increases were particularly striking, said Dr. Holly Hedegaard of the CDC, one of the authors of the report. In 2000, the highest death rate from heroin overdoses was in blacks ages 45 to 64. But in 2013, whites ages 18 to 44 had the highest rate. Whites in that age group accounted for more than half of the heroin-related overdose deaths that year. And the region with the largest heroin overdose problems shifted to the Midwest. The West and Northeast had the same highest rate in 2000. The report did not provide state breakdowns. Overall, there were about 44,000 drug overdose deaths in 2013. More than 16,000 of them involved a type of powerful prescription painkillers, such as Vicodin and OxyContin. 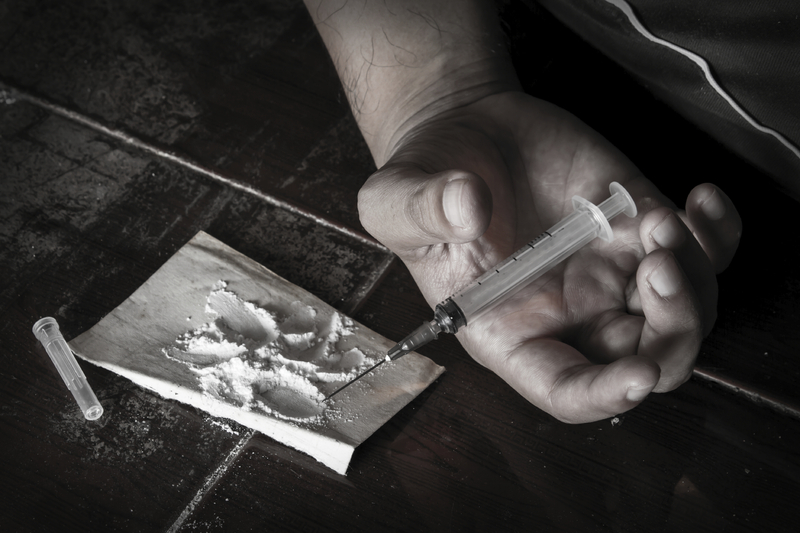 Those deaths were nearly twice as high as the heroin-related deaths in 2013. However, painkiller-related deaths held steady for two years while those involving heroin climbed. The report didn't explore why heroin deaths are increasing. Other experts have said recent restrictions on prescribing painkillers may be reducing supplies at a time when the heroin supply has been increasing. The shifting trends in heroin use have been developing for some time. A study published in May 2014 found that today's heroin users tend to be white men and women in their 20s who live in suburban and rural areas. That's a significant change since the 1960s, when use of the drug was more common among young men living in urban areas. Additionally, the study found that heroin users now frequently turn to the drug after first getting addicted to prescription painkillers. According to the National Institute on Drug Abuse, 1 in 15 people who take a prescription painkiller for non-medical reasons will end up trying heroin within the next 10 years.